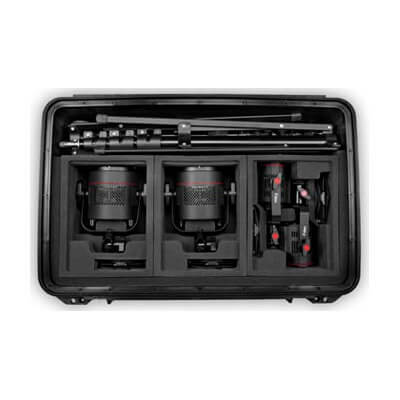 The K412 Lighting Kit is a powerful four-light kit that will weather the storm. 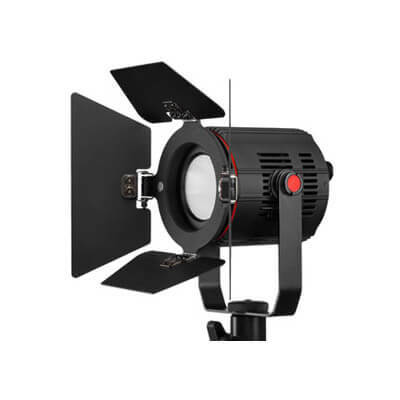 These lights are dimmable and colour-tunable from 3000-56000 with a high CRI of 93. 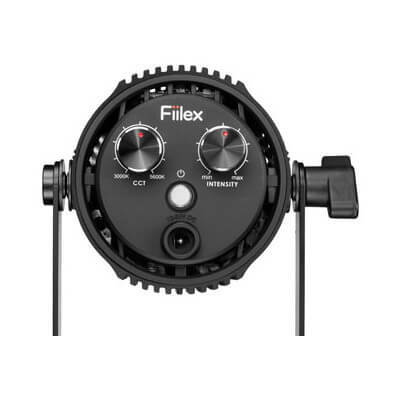 These lights do not get very hot and do not use much power to operate. 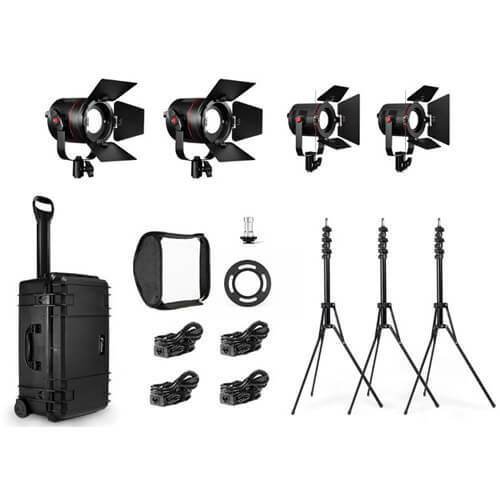 Complete in a rolling travel case, the kit has two P360EX lights with 400W of equivalent power (uses 90W), and two P180E lights with 200W of equivalent power (uses 40W), four AC Power adapters, four barndoors, three light stands, one cold shoe mount (for P180E), one 15"x15" softbox, and one speedring.